Create feline fashion using this TierraCast bead. This bead is shaped like a cute cat face. The cat's face design is displayed on both sides of the bead and the stringing hole runs from between the top of the ears to the bottom of the face. Dangle this bead from a head pin to create a fun charm. This is the perfect bead for any cat lover. 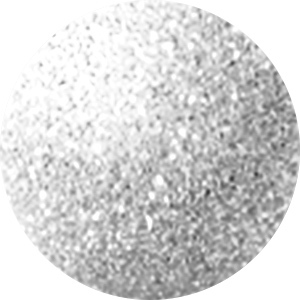 This bead features a brilliant silver shine that will work with any color palette. Create feline fashion using the TierraCast brass oxide pewter cat face bead. This bead is shaped like a cute cat face. The cat's face design is displayed on both sides of the bead and the stringing hole runs from between the top of the ears to the bottom of the face. Dangle this bead from a head pin to create a fun charm. This is the perfect bead for any cat lover. It features a brassy gold shine that will work well with rich colors like olive green, purple and more. Create feline fashion using this TierraCast bead. This bead is shaped like a cute cat face. The cat's face design is displayed on both sides of the bead and the stringing hole runs from between the top of the ears to the bottom of the face. Dangle this bead from a head pin to create a fun charm. This is the perfect bead for any cat lover. It features a regal golden shine full of classic beauty. Your designs will look even cuter when you add the TierraCast antique pewter cat face bead. This bead is shaped like a cute cat face. The cat's face design is displayed on both sides of the bead and the stringing hole runs from between the top of the ears to the bottom of the face. Dangle this bead from a head pin to create a fun charm. This is the perfect bead for any cat lover. It features a versatile silver shine that will work with any color palette.